This section sets out our data retention practice, which is designed to help ensure that we comply with our legal obligations. By submitting your personal information through this website, and in person at conferences and events, you shall be consenting to us storing, processing and retaining your personal data, however, this shall not be kept for longer than is necessary. Without prejudice, we review all data held annually and delete personal data after a five-year period. All personal information you provide via our website is secure in line with policies outlined by our website hosting company TSO Host. The company and their servers are based in the UK and, as such, we comply with their terms and conditions of service. All personal information that you provide in the form of business cards from events etc.. are uploaded into our CRM system within 48 hours of receipt and the physical copies are shredded. We then write to you to request consent (via our CRM system) so that we may continue to contact you. We use Capsule CRM for online personal data storage. This online customer relationship management system holds information entered by you via our website. The company and their servers are based in the UK and, as such, we comply with their terms and conditions of service. You acknowledge that the transmission of information over the internet is inherently insecure, and we cannot guarantee, or be liable, for the security of data sent over the internet from your own personal or work connections or from open and unsecured wifi in public hotspots. We use MPZMail – which is an opt-in email marketing system – to distribute our newsletter and other service and product-related communications. The company, and their servers, are based in the UK. As such we comply with their terms and conditions of service and you can exercise your right to be removed from the automated mailing list using the unsubscribe option provided at any time. Personal information that you submit in response to blog posts on our website may be available, via the internet, around the world, however we cannot prevent the use or misuse of such information by others. We will not supply your personal information to any third party for their direct marketing, however we sometimes use associates to provide our services. In such cases, we will ensure that a) they have their own data security systems in place, and b) only give them access to information that is needed for them to complete their assigned tasks. At the end of their contracted work, they will not be permitted to use your data for any promotional or marketing purposes. When we run webinars with joint venture partners who are promoting their own range of learning products and workshops, we will always make any joint venture links transparent and clear. We will review and update this policy every three months and publish a new dated version on our website. You should check this page occasionally to ensure that you are happy with any changes to this policy. We may notify you of changes to this policy by email or through the private messaging system on our website. Our website includes hyperlinks to, and details of, third-party websites. We have no control over, and are not responsible for, the privacy policies and practices of these third-parties. This website is owned and operated by LearningVoice Ltd trading as JFI. 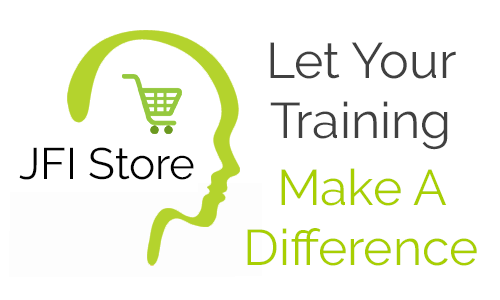 We have a range of JFI learning brands, including JFI Store; JFI Radio; JFI Research; JFI Academy; JFI Café; JFI LearningVillage. We also provide live and recorded vocal services (BusinessVocals) and consultancy services (LearningVoice). For the purpose of the Data Protection Act 1998 (the Act), the data controller is LearningVoice Ltd. Registered in (England and Wales) under registration number 06262217, registered office is Simpson Wreford LLC, Wellesley House, Royal Arsenal, London. SE18 6SS. Our principal place of business is in the UK, however we operate around the world, as required by clients. To raise a data request or a complaint, contact us using our website contact form, or by email to office@jfistore(dot)com or by telephone on +44 (0)207 193 5292.